Actions DO speak louder than words (or tactics, or strategic planning). At the 99% Conference, Frans Johansson illustrates why groundbreaking innovators generate and execute far more ideas than their counterparts. To get to the performance venue, you must take 2 balloon rides, about 5 minutes. 2014 STAGE: Friday, March 28 @ A.R.T. 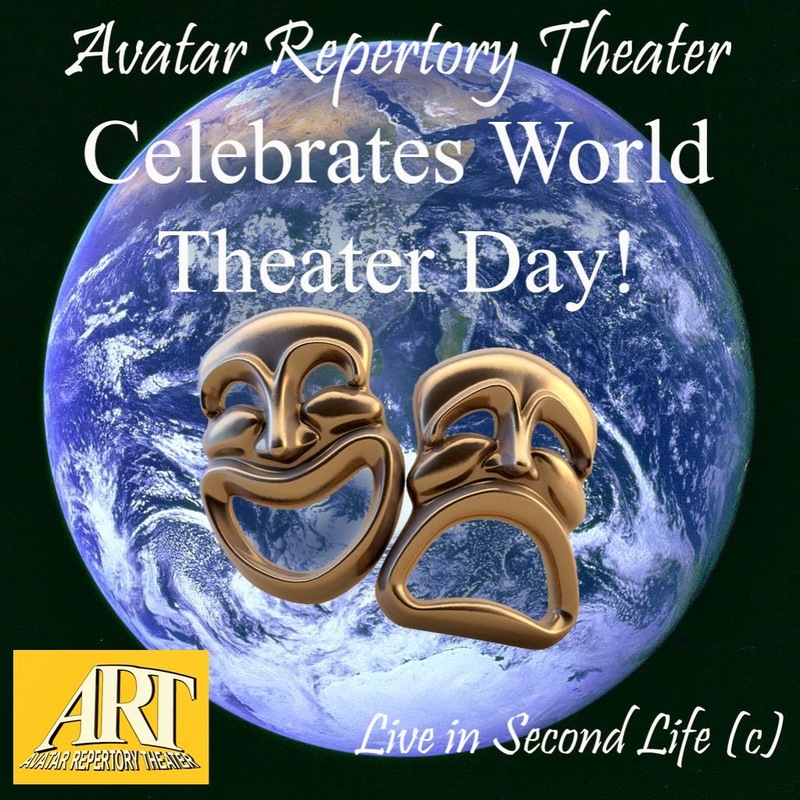 Rep Theater: WORLD THEATER DAY! Join Corwyn Allen, Breyda Adored, Kayden Oconnell, Rowan Shamroy, and Caledonia Skytower for selected tragedy and comedy. Oh the drama of it all! Presented in Voice, free to all residents of Second Life. Donations accepted. 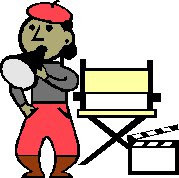 Avatar Repertory Theater is a project of New Media Arts, Inc., a nonprofit organization tax exempt under IRC 501(c)(3). You may be able to deduct contributions on your tax return, depending on your tax circumstances. In Opensim, you can download and upload an entire sim (256x256). You can buy, sell, give away, archive, copy to another grid, duplicate in other grids. You can start in a virtual world with the world you want. In Opensim, you can save your sim to a backup (OAR) file. If you have the right permissions and your grid allows it. You can post that file on the web free for anyone to copy. As you might do if the work was done on a grant. You can post that file on the web for sale. Though you may not have protection from copiers. Unless you use Copyright: Court: terrains can be copyrighted. Anyone who has the file can load it onto another grid. If the grid allows that kind of upload. Avatar Repertory Theater needs a few good men. 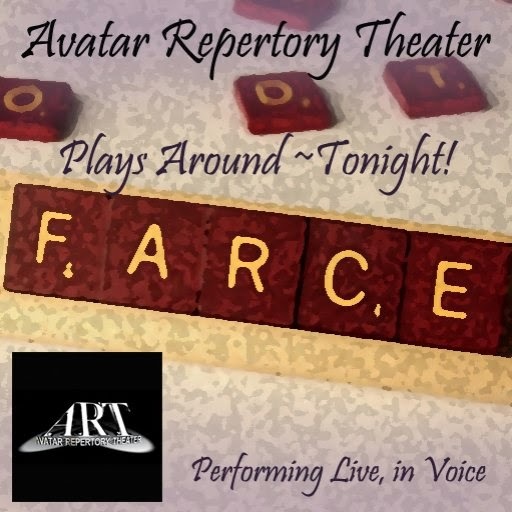 Avatar Repertory Theater (A.R.T.) is a troupe of 20 or so actors, writers, graphic artists, pro­gram­mers, musicians, sound eng­ineers and pro­duction ad­ministrators. We perform in virtual reality platforms such as Second Life®. Live virtual theater and machinima are our vehicles, using live talk, prerecorded music and sound effects, and live avatars, costumes, sets and animations, all primarily created by troupe members. have a reasonably good mic, computer and internet connection. can handle props, gestures and animations all at the same time. can keep an organized inventory. can work in Second Life. If you have questions you can send IM's to Corwyn Allen or MadameThespian Underhill in Second Life. We are looking for dedicated actors committed to presenting live theater across the Metaverse. If you don't know who we are, please come to our regular Friday night performances of A.R.T. Plays Around, at 5pm SLT. Landmark below. 2014 OPENSIM: This article is outdated. This article is outdated. 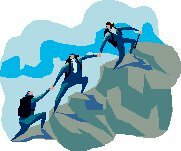 Look here for more newcomer help. Major Firestorm Release 4.6.1.40478. Runs good, seems faster. 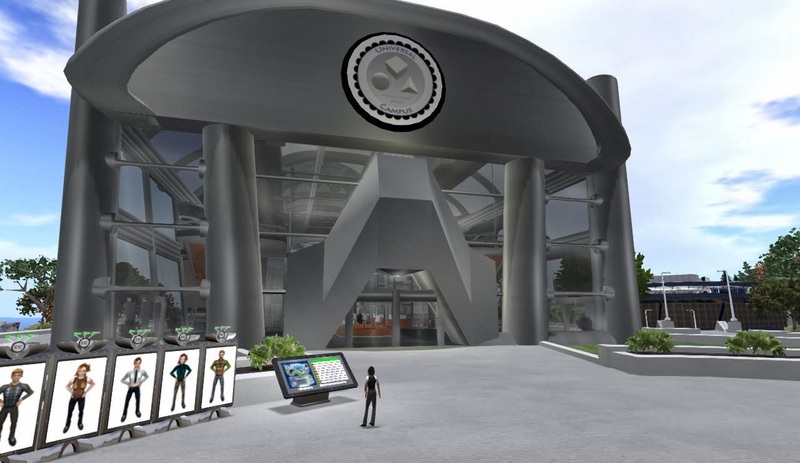 The Kitely Hypergrid market is now open. 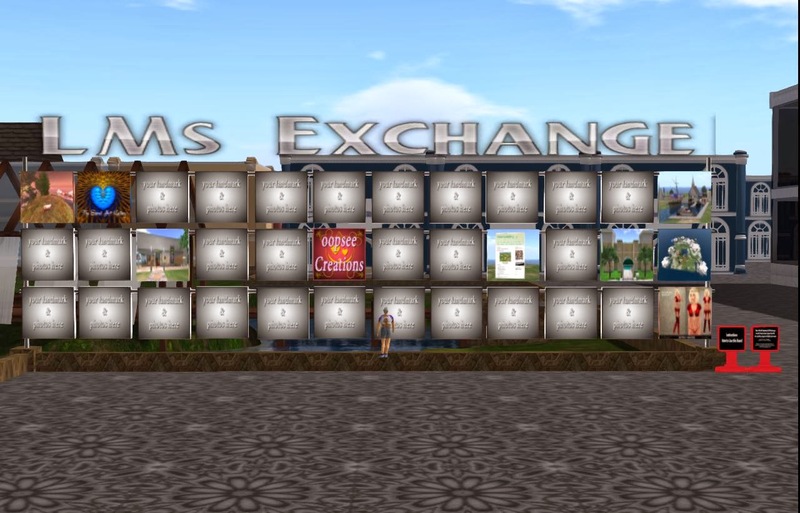 From the Kitely Market, creators can now sell to any grid on the Hypergrid if they want to. 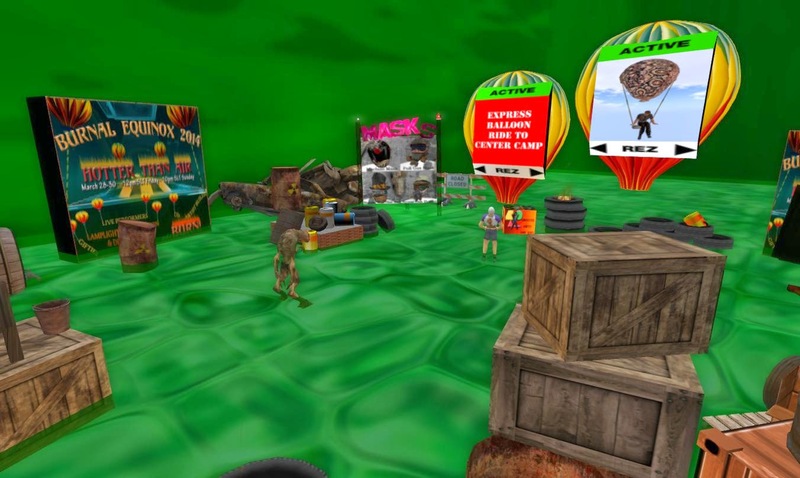 People can now buy for any avatar on the Hypergrid and have the product delivered to that avatar in that avatar's grid. That includes privately operated grids using Sim-on- a-Stick. There will be a minor problem on grids still using versions of OpenSim older than 0.7.6 Release. In those grids, the initial report will be: "Can't find item to give. Nothing given." Actually, the older versions of OpenSim fail to find the delivered item because of a bug. The work-around is: Log off and log back on. The long term solution is to update the grid. 2014 HELP: OPENSIM: Firestorm profiles, web profiles, and Opensim. A note of caution. Profiles are a bit tricky on Firestorm in Opensim. It will use profiles that were created in Second Life. That may be what you want. Or it may be something you definitely don't want. 2014 BIZ: OPENSIM: Kitely Hypergrid Market working well in private beta. Kitely Hypergrid Market working well in private beta. Kitely Hypergrid Market is still in private beta, but the performance seems to be good. Two big problems have been resolved. Maybe it is not too early for content creators to look into using Kitely Market as a market to the Hypergrid. My guess is that it will be operational in about 10 days or less. The Kitely market is in full scale operation. You can find it here: Kitely Market. The part that is in private beta is delivery to the Hypergrid. When Hypergrid delivery goes operational, products currently on the market should be deliverable to the Hypergrid. The folks at Be My Guest invite us to enjoy this comedy sketch they created for the March show. The Creature from the Black Lagoon Opens with a Party! Orion and Lisa Deezul, creators of the innovative brands Crazy Mad, Easy Rock Music, Jupiter, Swerve and Greedy Bunny announce a special gallery reception featuring Deezuls’ latest artist, Ohsoleomio . Join us Sunday, March 16th at 1:00 p.m. SLT, for a special viewing of Ohsoleomio’s collection of beautiful abstract paintings in the atrium at Deezuls. Ohsoleomio's work is a mix of bright, bold opaque strokes full of energy and soft, quiet, watery translucent hues. “My work is mostly intuitive and when I paint, I get lost in the layers of the journey, most times not knowing the destination. I love the excitement of the unexpected, and to the contrary, I love the comfort and security of the expected as well, hence, the diversity in my pieces”, Ohsoleomio explains. For this exhibit, some of Ohsoleomio’s favorite pieces are displayed. STAGE: ART plays around on stage: Fri. Mar. 14, 5 PM SLT Farce. Hotter than air. BURN2 2014 Burnal Equinox. 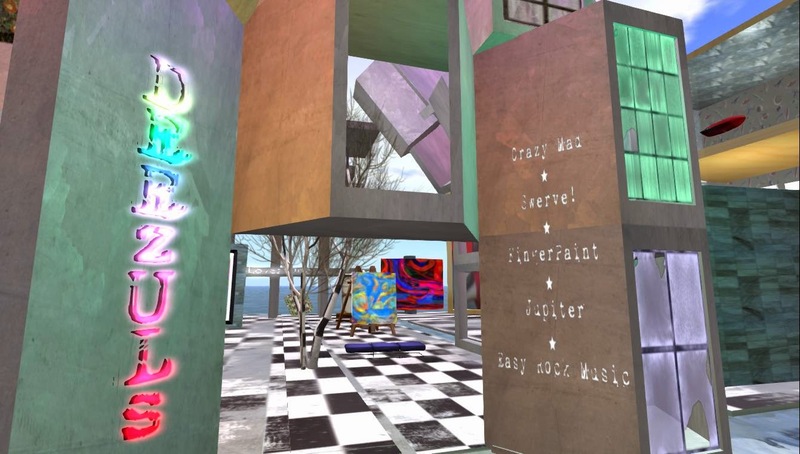 BURN2 is the virtual extension of the Burning Man festival and community into the world of Second Life. It spreads Burning Culture and the Burning Man Ten Principles (http://burn2.org/ten­principles) all year round. BURN2 is one Burning Man regional, out of more than 100 first world Regional groups. Isis Ophelia made a useful community destination board designed to let people display pictures of their venues and give landmarks. 2014 HELP: SL go! Now you CAN take it with you. Now you CAN take it with you. Monthly unlimited-use subscription for $9.95 (USD) / £6.95 (GBP). No contract and no commitment. Reduced hourly rate: $1 / £0.70 per hour. 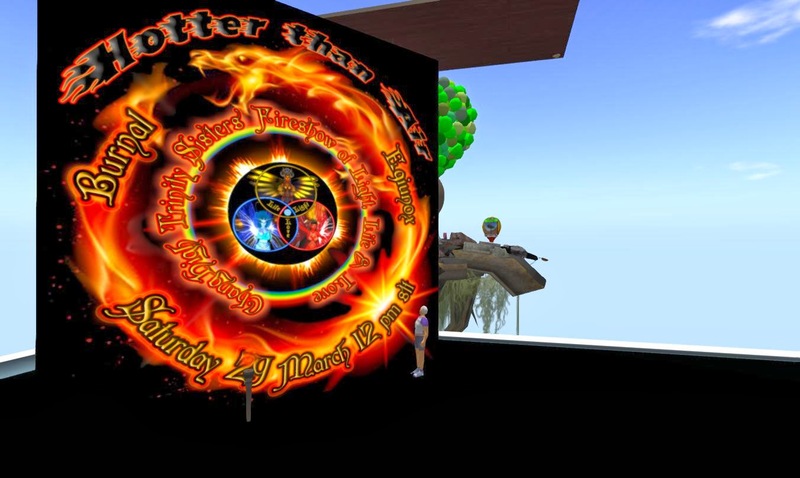 2014 PROMO: OPENSIM: Virtual Worlds: A practice field for social media and public relations people. Opensim worlds cannot depend on a large inworld population. They have reach out to the larger population of people on the web. Social media sites can offer a big audience at low cost--to people who know how to use them. Social Media Specialist. This job title is not yet recognized by the Bureau of Labor Statistics (US), but it probably will be soon. I searched Google for that term and got over 6 million hits (some as Public Relations Specialist). Courses and certification are being offered by universities such as SMU. In RL work, the Bureau of Labor Statistics prices such work at about $26. to $55 (USD) per hour, but that is for established professionals with a documented track record. Big companies may have a Social Media Manager. Preparation for that line of work is offered, for example, by Saint Leo University. 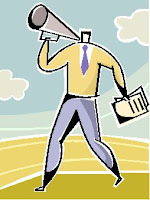 People in courses for social media/public relations skills and certification. People considering a career in such fields. People wanting to boost their experience and credentials in such fields. Ballet Pixelle performed live in Japan on February 14, 2014. The troupe participated in TPAM. TPAM is an international platform for performing arts professionals that includes participants who share interest in and passion for creation, promotion, development, dissemination, exchange, critique, and study of contemporary performing arts.